Last week I hosted my annual Spring Retreat. At this daylong Stamping event I spoil my customers with a swag bag full of Stampin' Up! goodies and a little party favor treat. The Cupcakes & Carousel Embellishment Kit let me make adorable party favors in no time! You will love the products from this kit. That is an incredible value of $15.75 (cad)! For my swag bags, I added a 2" x 6" strip of Cupcakes & Carousel Designer Series Paper behind my tag. I fastened it to the gift bag with a Gold Binder Clip (these clips are not in the embellishment kit but they are so pretty and match, I could not resist). 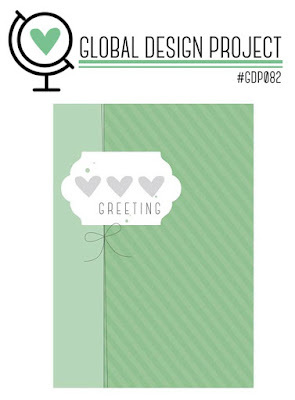 These tags were inspired by the Global Design Project Challenge #GDP082. Each week the GDP issues a challenge. You are invited to play along! Visit the GDP for more details to see dozens of projects inspired by this sketch. I gave each guest a little chocolate treat at their work space. These do not really match the Global Design Project Challenge but I knew you would want to see them. These treat pockets are created with one sheet of 6x6 Designer Series Paper. They do not require any adhesive at all and take seconds to make! I have shared this pattern before on the blog - Click here to see full instructions. 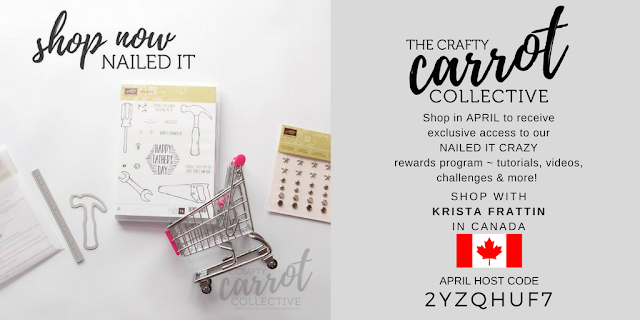 Join the Crafty Carrot Co. tutorial program! Learn more here. Earn free Stampin' Up! product rewards for shopping with me. Thank-you Cheryll. I love this kit!